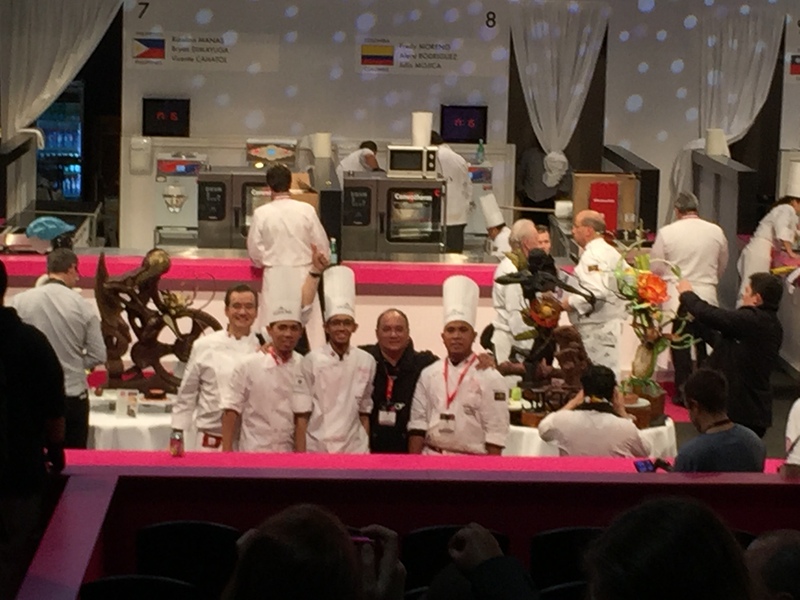 SO proud of the performance yesterday January 25 of the Philippine Pastry Team at the Sirha 2015 Coupe du Monde de la Patisserie (World Pastry Cup) in Lyon, France! Competing for the Philippine Pastry Alliance were Rizalino Mañas, Vicente Cahatol and Bryan Dimayuga. Team President is Buddy Trinidad. Competing for the Philippine Pastry Alliance were Rizalino Mañas, Vicente Cahatol and Brian Dimayuga. Team President is Chef Buddy Trinidad and Vice President is Chef James Antolin. SIKLO. Entries of the Philippine team to the Coupe du Monde de la Patisserie (World Pastry Cup) competition in Lyon, France. The theme of the competition was Life Cycle so the Philippine team, which also had Pastry Alliance Vice President James Antolin, Chefs Miko Aspiras, Penk Ching and Jackie Ang Po as coaches, conceptualized a unified theme that included a hunter and “the hunted”. 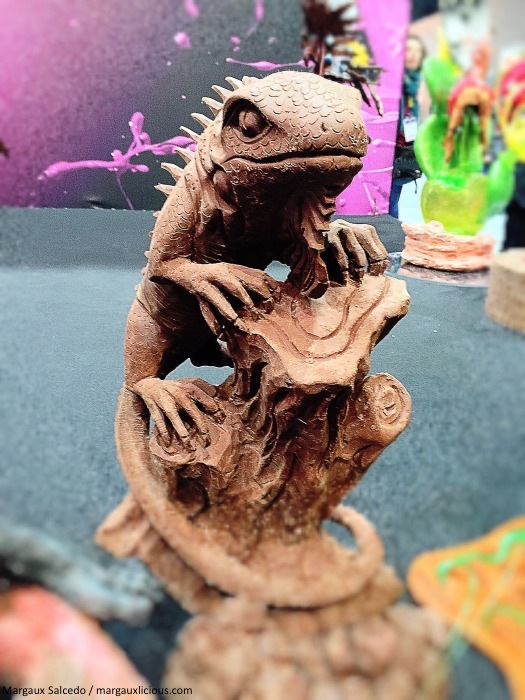 The rules required them to present a chocolate showpiece, a sugar showpiece, one carving piece, a chocolate cake, a plated dessert, and a chocolate block carving. The Philippine team proudly put Philippine touches on their creations and entitled the entire showcase “Siklo” for ‘cycle of life’. The chocolate showpiece is a beautiful female hunter. Looking at it closely you would think it was a narra carving! Props to Chef Bryan Dimayuga on this elaborate, intricate piece. 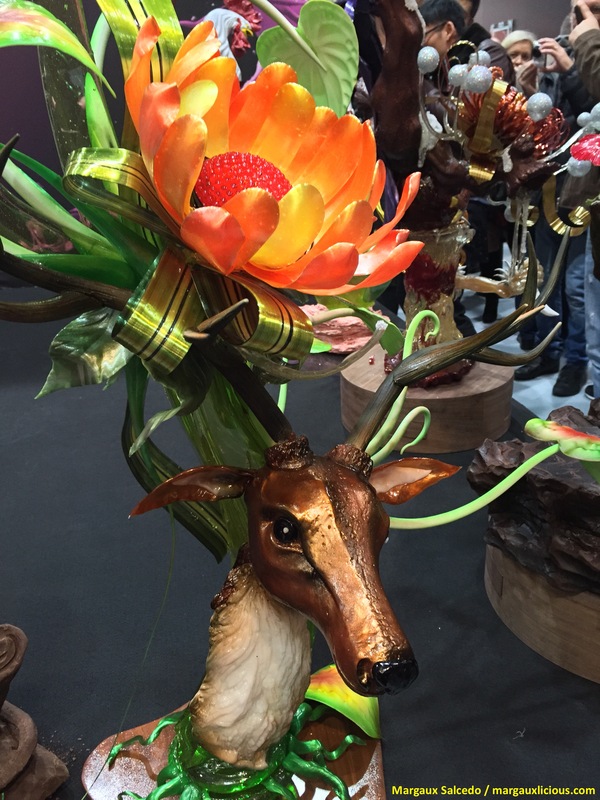 For the sugar showpiece, Chef Rizalino Mañas portrayed the Philippine spotted deer. This deer was glowing and was a favourite for photos of the international press. Philippine spotted deer by Chef Rizalino Mañas. 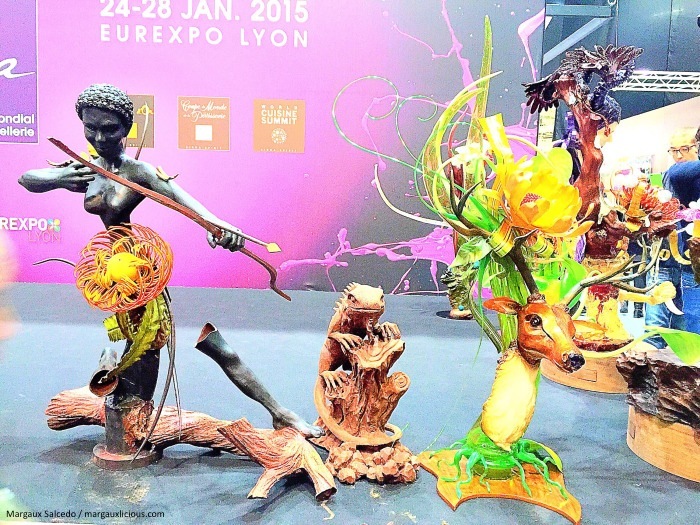 Entry of the Philippine Pastry Alliance to the SIRHA 2015 Coupe du Monde de la Patisserie. The chocolate block carving was a new category. Each team was given a 10-kilo block of Valrhona chocolate to carve. Other teams chopped up the 10 kilos. But Chef Vicente Cahatol took this as a challenge to showcase his carving expertise and did not chop the block at all. Instead, he created this beautiful carving of the bayawak. Doesn’t it look like a wood carving? Look at the details, down to the scales. Bayawak by Vicente Cahatol. 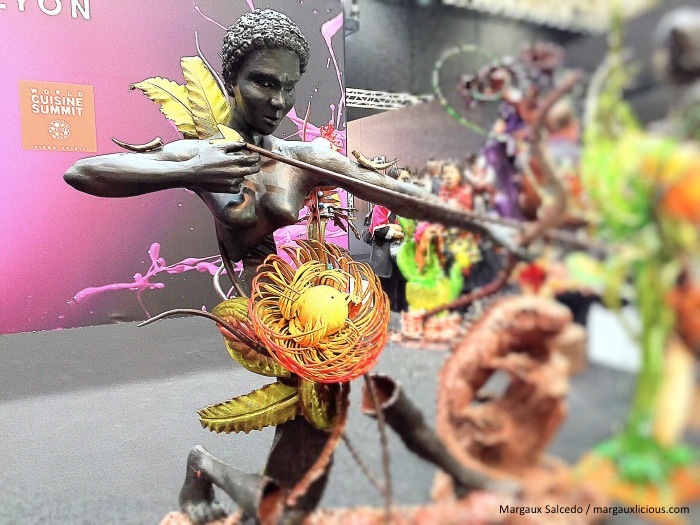 Entry of the Philippine Pastry Alliance to the SIRHA 2015 Coupe du Monde de la Patisserie. The winners will be known today (January 26, Monday, around 6 pm Lyon time; January 27 Tuesday around 2 am Philippine time). Proud to say that our contestants gave a good show and may just come home with a few medals. But whatever the outcome, this is already a huge deal as this is the first time that the Philippines competed in this global competition. We were just in the audience with proud supporters of the Philippine time like Paris- based Vice Consul Rapunzel Acop and culinary innovations guru Dennis Hipolito. Yet we felt so much pride! 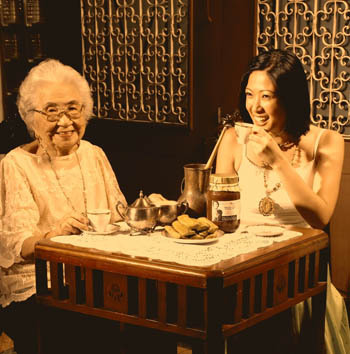 The Philippine Pastry Alliance has already won. We are so proud of you, Philippine team!! !